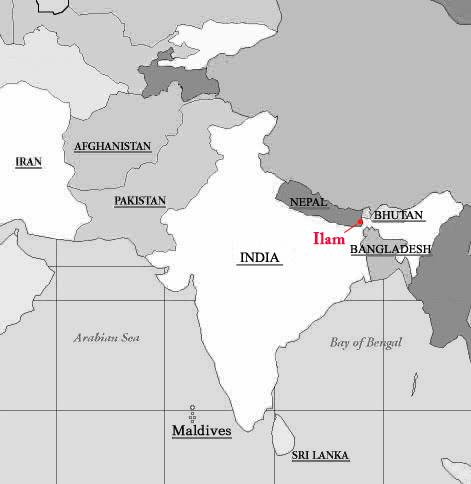 The name Ilam is derived from the Limbu language in which “Ii” means twisted and “Lam” means road. Tea production in Ilam started as early as 1863, when the Chinese government offered then Prime Minister Jung Bahadur Rana tea saplings that were then planted in Ilam. In 1868, the Ilam tea factory was established, and tea plantations covered over 135 acres of land. In 2010, the tea factory was privatized, and is currently not under operation. However, tea production continues in Ilam in other forms. In 2010, the total tea production of Nepal was 16.23 million kilograms per annum; a majority of this amount was produced in Ilam itself. Nepal in South Asia, is located between China (to the north) and India (to the south). The eastern zones of Nepal, where most of the country’s teas are produced, have more or less the same geographical and topographical conditions as the Darjeeling area, thus producing an aromatic, fruity tea that is often considered a cousin of Darjeeling. Recently, some tea gardens in Nepal have taken on a more progressive approach and are beginning to introduce different styles of tea. Today, Nepal’s tea industry is dominated by private players, whereas in the 1990s the tea industry was a government monopoly prior to the liberalization of the tea industry. Until 2003, Nepal’s tea export accounted for only about 80 – 100 tons per annum. However, due to the liberalization adopted about a decade ago, Nepal tea industry witnessed an exponential rise in the export of its tea, accounting for almost 4,000 – 5,000 tons per annum. Shizuoka is a prefecture of Japan located in the Chubu region on Honshu island. Mt. Fuji is located on the northern border of Shizuoka Prefecture and provides picturesque views. Shizuoka, meaning ‘tranquil hills’, is a mountainous terrain rising to 3,000 meters. The climate in the area is very conducive to growing tea, especially due to its rain and mist. Tea in Shizuoka has a long history of more than 800 years. It is the largest tea region in Japan with 40% of the nation’s tea plantations. Many tea plantations are small, family-run operations which have remained in the same family for many generations. Each plantation may grow several varietals of tea in various plots, and most of it is made into green tea. 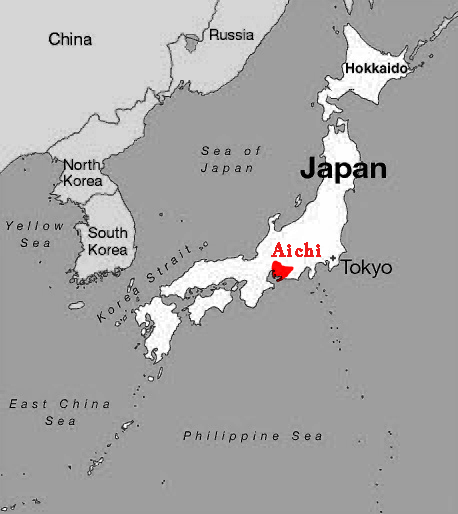 Aichi is a prefecture in Japan, located on the southern coast of Honshu, the largest island, and is part of the broader Tokai region. Aichi is bordered by Shizuoka to the east, Gifu to the north, and Mie to the west. 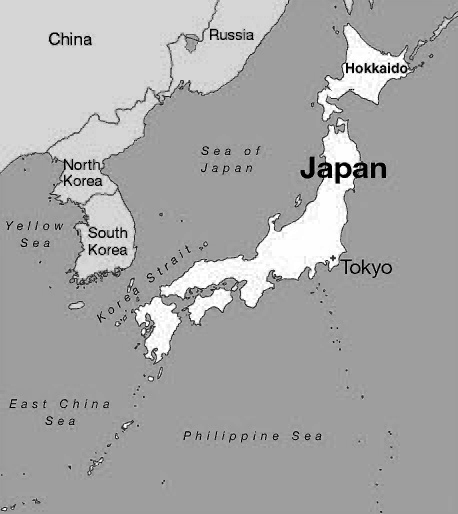 All of these prefectures are tea growing regions. Although producing a smaller total volume of tea, and less well-known than Mie and Shizuoka, Aichi is still an important tea producing region. Aichi is home to Nagoya, Japan’s fourth largest city; much of the prefecture is heavily developed, both with urban and suburban areas and industrial areas. Uji is one of the oldest cities in Japan, located on the southern outskirts of Kyoto, in Kyoto Prefecture, Japan. Founded on March 1, 1951, Uji is located between the two ancient capitals of Nara and Kyoto. The city sits on the Uji River, which has its source in Lake Biwa. Uji has an estimated population of 200,000. The city has also been celebrated for its tea for almost a thousand years. During cherry blossom season, the bridge that spans the Uji river makes for a breathtaking walk. An annual Tea Festival takes place on the first Sunday of October. As befits a city built on tea, Uji takes its water seriously. This festival celebrates the rituals involved in drawing up the famous water. Costumes are worn, prayers of thanks are said to the luminaries of tea history, tea-tasting competitions are held, and best of all, there’s free tea on offer. The history of tea in Japan has its earliest known references in a text written by a Buddhist monk in the 9th century. Tea became a drink of the religious classes in Japan when Japanese priests and envoys sent to China to learn about its culture brought tea back to Japan. The first form of tea brought from China was probably brick tea. Ancient recordings indicate the first batch of tea seeds were brought by a priest named Saicho in 805 AD and then by another named Kukai in 806 AD. It became a drink of the royal classes when Emperor Saga, the Japanese emperor in the early 9th century, encouraged the growth of tea plants. Seeds were then imported from China, and cultivation in Japan began. Hsinchu City is a city in northern Taiwan and popularly nicknamed “The Windy City” for its windy climate. It is famous for its Dong Feng Mei Ren (Oriental Beauty) tea. Shan Lin Xi is a high elevation tea area (1700 to 1900m), located in the heart of Taiwan’s tea growing center, Nantou County. Shan Lin Xi is a pristine nature area known for its maples, cedars, wildflowers and scenic beauty. Although Shan Lin Xi has a long history of tea, only in the last twenty years has the production increased significantly due to popularity. The main tea plant varietal in the area is ‘Qing Xing’ oolong varietal. 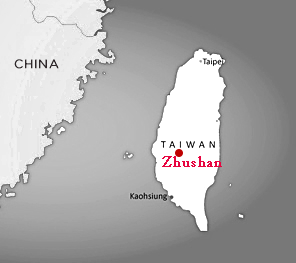 Zhushan Township is an urban township in the southwest part of Nantou County, Taiwan, and off the south shore of Zhoushui River. It is known for its “Bamboo Mountain” oolong tea. Ali Shan is a mountain resort and natural preserve located in the mountains of Chiayi County in central Taiwan. It is 415 km² in area. It includes four villages, waterfalls, high altitude tea plantations, the Ali Shan Forest Railway and several hiking trails. The area is popular among tourists and mountain climbers, and Ali Shan or Mount Ali itself has become one of the major landmarks associated with Taiwan. The region is known for its high mountain oolong (Gao Shan Cha). There are about 200 small farmers in the area. Pinglin District is the northernmost tea region of Taiwan. It is located in southeastern New Taipei City and is a scenic, mountainous area connecting to the Yilan County on the east coast. Pinglin is known for its Baozhong green tea. It is home to many small tea farms making green and oolong teas. 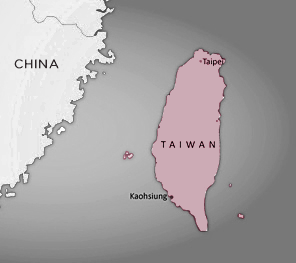 Taiwan is a small but prized producer of tea in the world. Taiwanese tea culture is rich in its art and ceremony, and involves calligraphy, flower arts, incense and poetry. Tea is a valued social activity in Taiwan and there are many vibrant teahouses throughout the country. While oolongs are especially popular in Taiwan, black teas and green teas are also becoming known. The original tea settlers came from Fujian province in China and the earliest tea gardens were planted in the Nantou County of central Taiwan. There are many famous tea areas in Taiwan including Pinglin, Ali Shan, Lugu, Shan Lin Xi, Li SHan, Hsinchu, Minjian and Zhu Shan. Thái Nguyên is a province in northeastern Vietnam. It is a mountainous, midland province represented by eight ethnic groups. 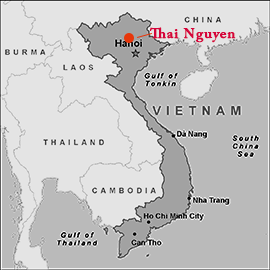 Thái Nguyên borders five provinces: Bac Kan to the north, Vinh Phuc and Tuyen Quang to the west, and Lang Son and Bac Giang to the east. Thái Nguyên also borders the Vietnamese capital of Hanoi to the south. Thái Nguyên is the gateway for socio-economic exchange with the Red River delta. The exchange is carried out via road, rail and waterways in the province. Main water features include the Cong River and Nui Coc Lake. The province is also the centre of tea industry in the country with an area of 16,000 ha (second only to Lam Dong). Hà Giang is a province in northeastern Vietnam. It is located in the far north of the country, and contains Vietnam’s northernmost point. It shares a 270 km long border with Yunnan province of southern China, hence it is known as the final frontier of Vietnam. Hà Giang has many high rocky mountains (lime stone formations) and springs; two of its largest mountains are the Cam and Mo Neo. The major rivers of the region are the Lo River (Ha Giang town is located on its left bank) and Mien River. The French occupied this region in 1886, establishing their military garrison on the east bank of the Lo River and which became later in 1905 one of the four major military establishments in French Indo China in North Vietnam. Ha Giang Province also has large areas of green tea, as well as many terraced rice fields. Notable tea plantations of quality tea are the Shan Tuyet strain in the Lung Phin in Dong Van District and Nam La in Yen Minh District. Vietnam is the easternmost country on the Indochina Peninsula in Southeast Asia. It is bordered by China to the north, Laos to the northwest, Cambodia to the southwest, and the South China Sea – referred to in Vietnam as the East Sea – to the east. With a population of over 89 million, Vietnam is the 13th most populous country in the world. It is in the top ten tea producers of the world. Vietnam has many tea areas. The Northwest tea region includes three main provinces: Son La, Lai Chau, and Dien Bien. The Northeast tea region includes Quang Ninh, Lang Son and Bac Giang. 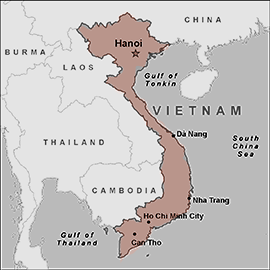 The Northern midlands region includes the provinces of Thai Nguyen, Phu Tho, Hoa Binh, Ha Tay, Hanoi, Vinh Phuc. The North-central region includes Thanh Hoa, Nghe An, Ha Tinh. The Highlands tea region includes the provinces of Lam Dong, Gia Lai, Kon Tum. Ruhuna is rich in history and legend. The liberating hero of the ancient chronicles, King Dutugemunu, was said to have spent his youth here, and the region has a tradition of resistance against tyrant kings and foreign invaders. Once far more thickly populated than it is now, Ruhuna has yielded relics of ancient Sinhalese civilization ranging in age from five hundred to fifteen hundred years, and the now-unpeopled jungle is dotted with the remains of centuries-old irrigation works. Ruhuna was a latecomer to tea. It was only around 1900 that the first estates were opened up among the foothills of the central mountain massif, at a convenient distance from Galle and Matara with their road and rail connexion to the capital. 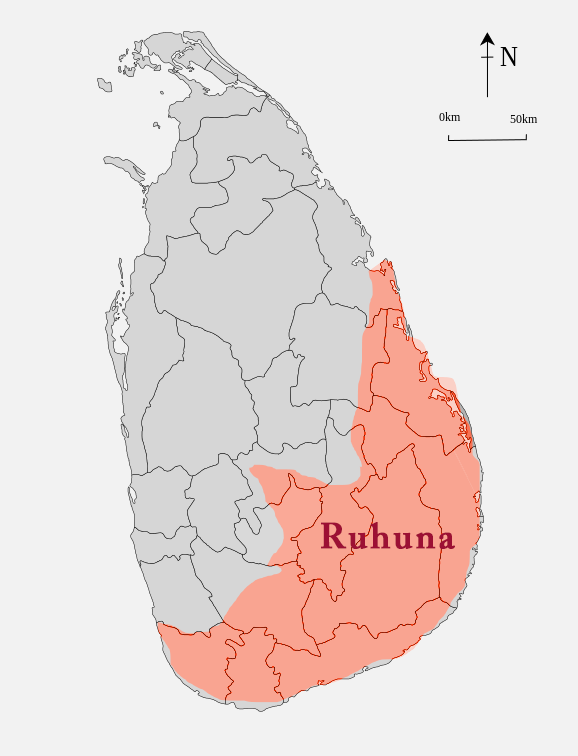 At a time when most of the plantation enterprise was British-owned and -run, Ruhuna became an early bastion of the Ceylonese planting fraternity – a group that included not only ‘tea men’ but also those planting in rubber and other crops. Nuwara Eliya, meaning “city on the plain (table land)” or “city of light”, is a town in the central highlands of Sri Lanka with a picturesque landscape and temperate climate. It is located at an altitude of 1,868 m (6,128 ft) and is considered to be the most important location for Tea production in Sri Lanka. The town is overlooked by Pidurutalagala, the tallest mountain in Sri Lanka. The city was founded by Samuel Baker, the discoverer of Lake Albert and the explorer of the Nile in 1846. Nuwara Eliya’s climate lent itself to becoming the prime sanctuary of the British civil servants and planters in Ceylon. 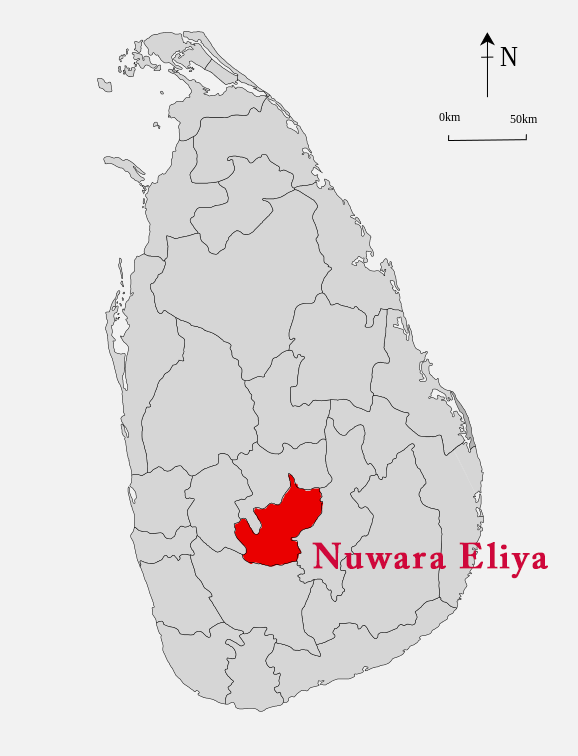 Nuwara Eliya, called Little England then, was also a hill country retreat where the British colonialists could immerse in their pastimes such as polo, golf and cricket. 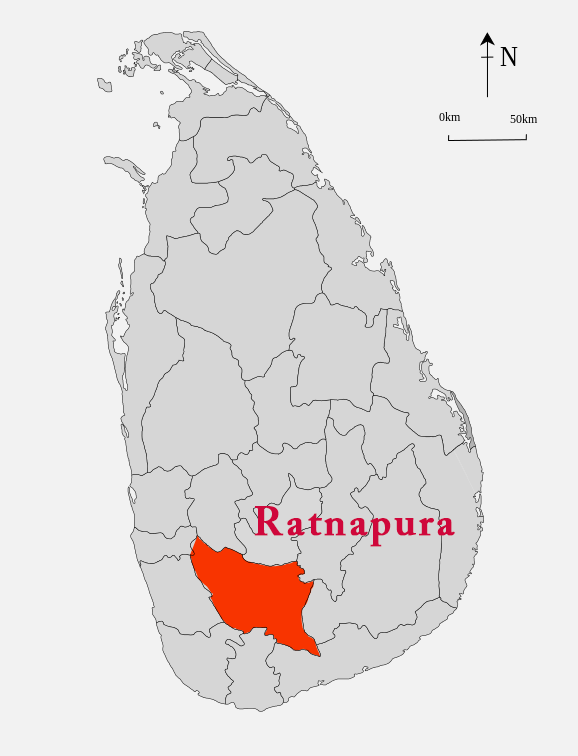 Ratnapura (“City of Gems”) is the name of the provincial capital of Sabaragamuwa Province in Sri Lanka. Some say the modern name is derived from the Portuguese name Rapadura for jaggery, the palm candy produced traditionally in this region, but the more common explanation in Sri Lanka is that it comes from the Sinhala “ratna” meaning gems and “pura” meaning city. Located some 101 km south east of Colombo, it is the center of a long-established industry of precious stone mining including rubies, sapphires, and other gems. Apart from gem mining, the town is known for tea. Tea grown in this region is called low-country tea. There is a well-established tourism industry in Ratnapura. Sinharaja Forest Reserve, Udawalawe National Park, Kitulgala, and Adam’s Peak are especially popular among tourists. Sri Lanka (also known as Ceylon in the tea trade) is an island surrounded by the Indian Ocean, the Gulf of Mannar and the Palk Strait, and lies off the South Eastern tip of India. Known for its black teas, Sri Lanka is the world’s fourth largest producer of tea. The tea industry is one of the country’s main sources of foreign exchange with tea accounting for 15% of the GDP. The humidity, cool temperatures, and rainfall in Sri Lanka’s central highlands provide a climate that favors a very high quality tea. The industry was introduced to the country in 1867 by James Taylor, the British planter who arrived in 1852. The different tea areas in Sri Lanka are Nuwara Eliya, Dimbula, Kandy Uda Pussellawa, and the Uva and Southern Provinces. 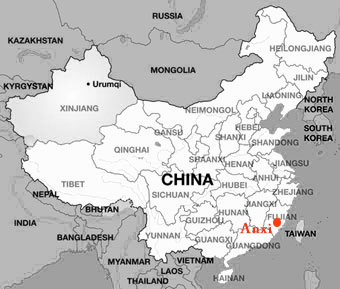 Anxi is a county of the municipal region of Quanzhou, in southern Fujian province, People’s Republic of China. Anxi is well known for a number of varieties of oolong tea, the most well-known of which is Tieguanyin (“Iron Bodhisattva of Mercy”). Zhenghe, a small town in Nanping County of Fujian, is named after Zheng He (1371–1433), who was a Hui-Chinese mariner, explorer, diplomat and fleet admiral that commanded voyages to Southeast Asia, Middle East, and East Africa. The area is credited as the original place for Bai Mudan (White Peony) and Baihao Yinzhen (Silver Needles) white teas. Nearby is Fuding, the other prominent white tea producing area in Fujian. The Jingmai Manjing Mountains are located in southern Yunnan, a few hours north of Xishuangbanna. The people of the area belong to the Bulang tribe and practice mostly Hinayana Buddhism. The homes are wooden and of stilt architecture and sloping roof style. Tea is a huge part of the culture and economy of the region. Puer, green and limited white teas are produced here. The scenic Jingmai area has gained much popularity over the last few years, as well as some controversy due to its development. The provincial government has made a considerable investment into the region, putting in new roads and building visitor’s tea culture centers to attract tourism, which could be compared to America’s Napa Valley wine tourism region. Jingmai remains very beautiful, with cobblestone roads winding through high mountain villages from which one can look down at the clouds and mist hovering in the valleys. There are many small tea farms, including some individual households, as well as a few professional, organic, more commercial processors. While Jingmai has undergone development, it also contains a lush undeveloped tea forest, wherein many plants are several hundred years old. At one point, the government wished to remove the tea forest in favor of younger plants that produce a higher yield. We work with a tea grower named Mr. Tsai who we believe has been an instrumental figure in stopping the destruction of the old growth forest. He moved from Taiwan, where he had been crafting tea for many years, and leased part of the old growth forest. His move from Taiwan into the area was not without controversy and skepticism among the locals, although we have come to have a positive perspective on his work and its influence on this forested area and the organic teas there, which have steadily risen in popularity. Locals continue to have access to the trees, which they can pluck and sell either to Mr. Tsai or to the tea crafter of their choice. Mr. Tsai himself is very involved in the harvesting and crafting process, working directly with the tea, with help from a few assistants. He has brought with him some tea crafting methods that are unique in the area. Back in Hsinchu, Taiwan, for example, he had been a cultivator of Dong Fen Mei Ren (Oriental Beauty), which is made by a process that allows grasshoppers to bite the leaf and begin the oxidation process before the leaf is even plucked. He now makes Dong Fen Mei Ren in Jingmai, which is rare for this region and has a very lovely, honey-sweet and fruity flavor profile. In our 14+ relationship with Mr. Tsai, he has crafted some teas specially for the Tao of Tea. Cangyuan Va Autonomous County is located in Lincang Prefecture, Yunnan, China. At 1800 m above sea level, Cangyuan is a remote region in western Yunnan, only 5km from the Myanmar border. Our grower has been propagating tea at this garden for about twelve years. It takes many hours, through a narrow, mountainous road to reach Cangyuan from the nearest city. Due to the remote location, it is usually difficult to find seasonal tea pickers and thus the tea plants have developed a slightly ‘wild-grown’ character, which we like. Older tea plants produce less yield but significantly better flavor profiles. We have also found that teas from this area have a pronounced smooth, buttery characteristic than other areas of Yunnan. Our sourcing trip to Cangyuan in spring 2011 resulted in many new teas to our offering.